Teeth whitening completed by our dentists offers a thorough application with outstanding results, brightening your teeth up to four shades in one application! There are various substances and reasons that will cause your teeth to become discoloured. These can include consumption of coffee, tea, beetroot, smoking, genetics, and age. For modifiable factors (able to be controlled by you) it is important to avoid these dark foods immediately before and after the treatment. Prior to the treatment, our dentist will conduct a thorough dental examination to address any concerns prior to whitening (e.g. fillings). Gum and teeth sensitivity may prevent the use of some products; however our dentist will assist and advise you of which whitening method is best for you. Known as chairside bleaching, our whitening technique involves receiving professional treatment in our clinic. Prior to the procedure, your dentist will complete a quick check-up to ensure your teeth are in good condition. A gel is then applied to the gums to form a protective barrier against the hydrogen peroxide whitening solution which is applied directly on your teeth. Your teeth are then exposed to a special light which activates the whitening. Hence, stains are lifted off the surface of the teeth. At 360° Dental Care, we have adopted the Philips Zoom! Professional Whitening in chair bleaching techniques. To create a whitening agenda that is most suitable for you, we need to have a deep understanding of your oral health history. This will ensure the treatment recommendation will account for any special provisions you require, for example, veneers, fillings or crowns. Professional teeth whitening with Philips Zoom is safe and is used by over 10 million people worldwide. In one appointment you will receive drastic results using the most advanced technology, whitening your teeth with shades in just 45 minutes. You may also consider using a take-home whitening kit -a procedure completed in the comfort of your own home using a custom-made tray (a thin mouthguard) with whitening solution to coat each tooth. When paired with a whitening toothpaste, these kits are ideal for individuals who would like to whiten teeth in their own home. While teeth whitening can be effective and have results that last for years, inadequate aftercare will cause your teeth to yellow. Good oral hygiene and regular dental cleans will preserve your pearly white finish, with touch-ups available for you to maintain your smile. For more information on teeth whitening and any available special offers, give us a call on 02 9051 2828. 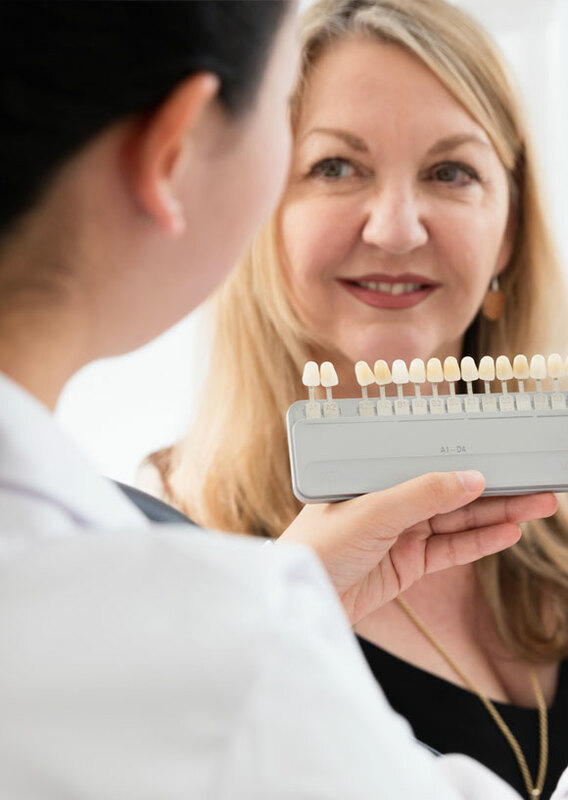 Located in Eastwood in Sydney’s northern suburbs, 360° Dental Care is a community minded dental practice offering a broad range of oral health management for all ages using the most advanced technology. Why sugars are bad for your teeth?